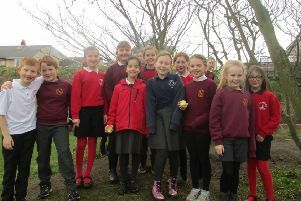 The pupils of Garlieston Primary, one of three small rural schools in Dumfries and Galloway reprieved from closure last year. The proposal has sparked fears that a number of smaller rural schools may become unviable and subsequently face closure. Commenting on the plans, local EIS secretary Andrew O’Halloran said: “These plans undermine rural schools. The level of responsibility for one member of staff potentially having to teach all seven primary classes simultaneously is enormous. The EIS is currently engaging with parent groups to work to reverse these changes. Mr O’Halloran continued: “It is feared that posts in single teacher schools will become much harder to fill. There are also concerns that these moves will eventually have an impact on less well-off families in rural areas.